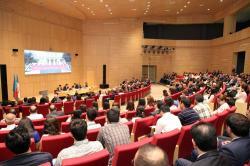 ADA University has hosted an event marking the Day of National Diplomacy. 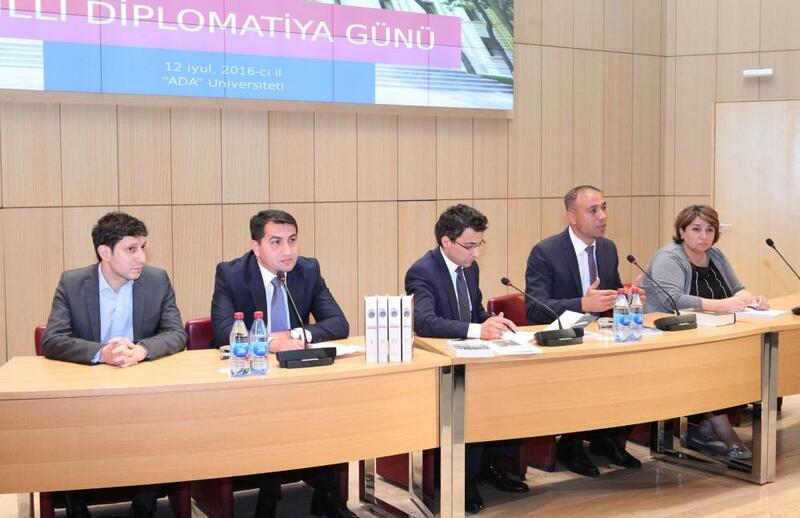 The event participants included state and government officials, representatives of the diplomatic corps accredited in Baku and MPs, Azertac reported. 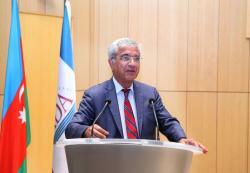 Rector of ADA University Hafiz Pashayev noted that the Azerbaijani diplomacy, whose history spanned 97 years, had gone through a difficult but glorious path. "The formation of modern diplomacy, of course, is connected with the restoration of independence," he said. 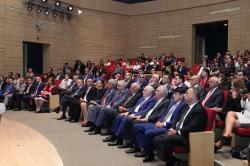 The event then featured a documentary entitled "Strive for Independence" made by the university to mark the 150th anniversary of Alimardan bey Topchubashov. July 9 marked the 97th anniversary of the decree of the Azerbaijan Democratic Republic that created Azerbaijan’s foreign ministry and laid the foundations for its diplomatic service. When the foreign ministry was created in 1919, it consisted of a council, a chancellery and a department with four subordinate sections – internal relations which maintained liaison with other offices of the government and society, external relations, cadres and economics, and an archive. In 1919 diplomatic missions of 16 foreign countries, including USA, Great Britain, France, Italy, Sweden, Switzerland, Belgium, Iran and Ukraine functioned in Baku. By late 1919, Azerbaijan had diplomatic representatives accredited in Georgia (Farist-bek Vekilov), Armenia (Abdurakhman bek Akkhverdov), Persia (A. Ziyadkhan), Turkey (Yusif bek Vezirov (Chemenzemenli)), and Ukraine (Jamal Sadykhov) as well as additional consular representations in Batumi, Crimea, Enzeli, Tabriz, and Meshkhed.